Hello everyone, I hope you had a lovely weekend! 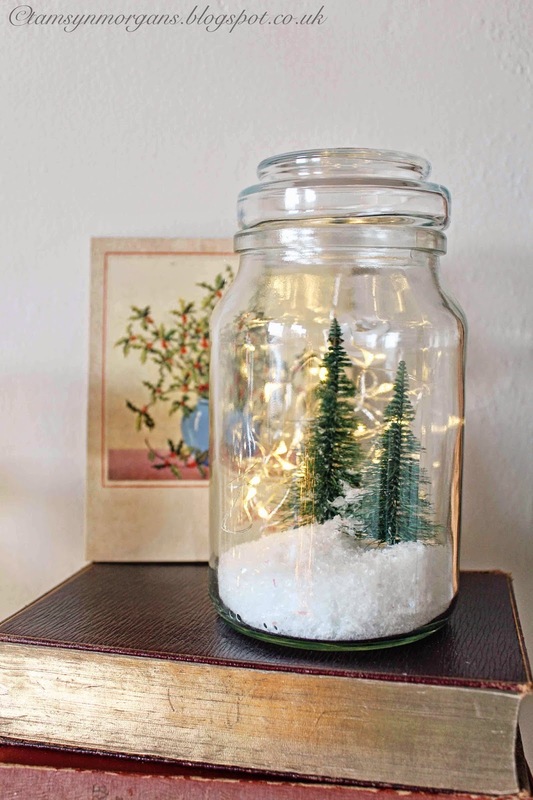 I’ve seen the idea of homemade snow globes or mini dioramas on Pinterest lots of times. 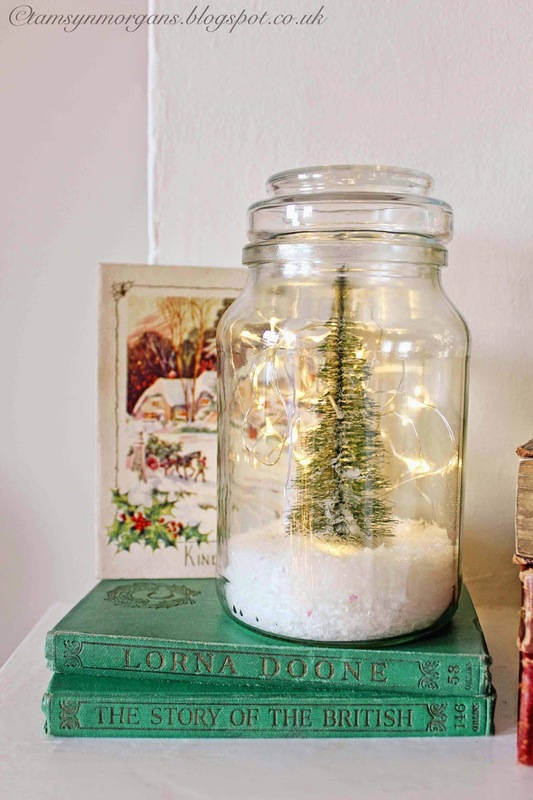 I was feeling especially crafty the other evening and I happened to have found these Douwe Egberts coffee jars in a charity shop for 80 penceeach! 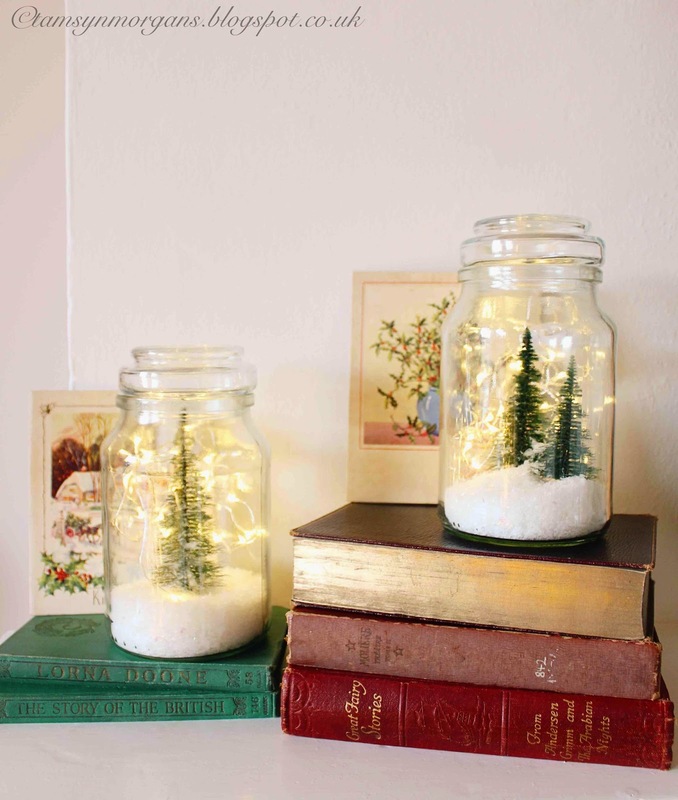 (Douwe Egberts have the loveliest jars, which make fab vases!) 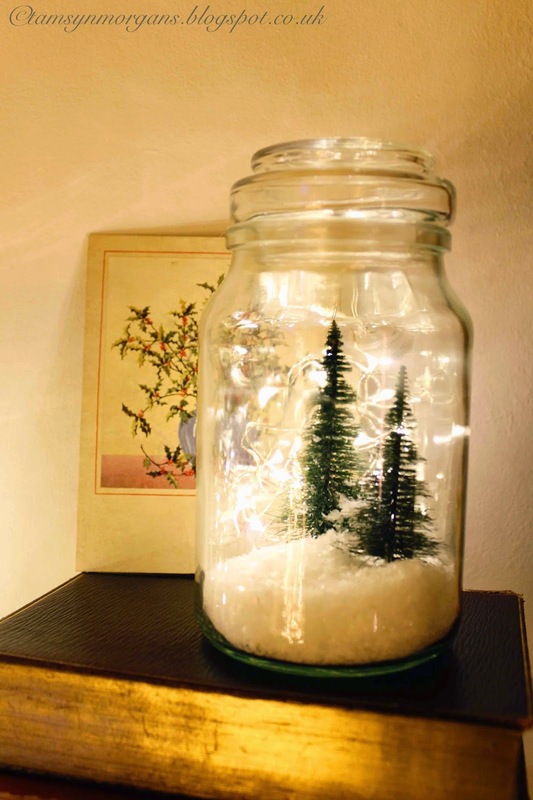 I had also picked up a packet of fake snow in Poundland, and along with some battery operated mini string fairy lights and my little trees, I had everything I needed to assemble my own snow globe. 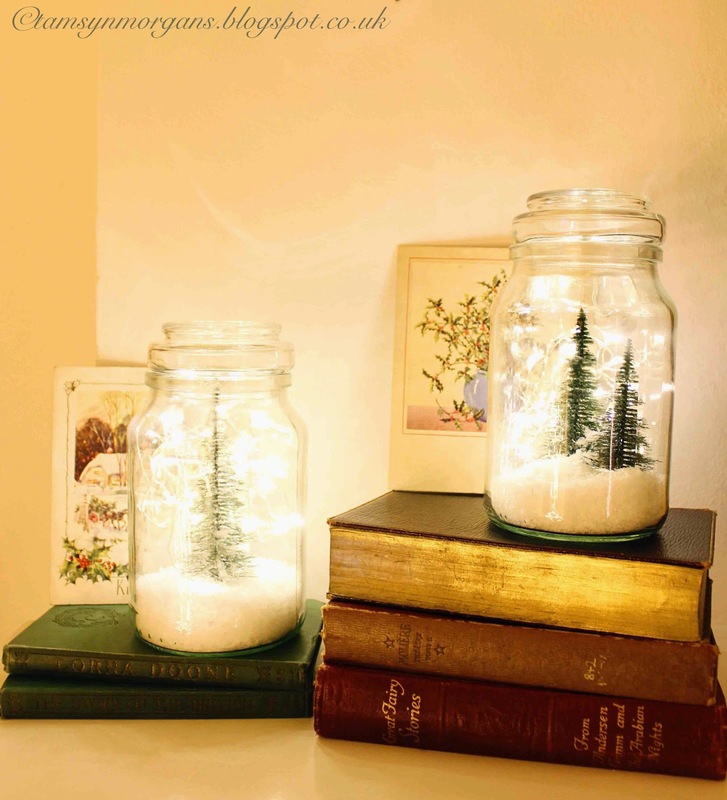 The fake snow from has just the right amount of iridescent glitter in it – the jars look so magical lit at night!